100 cabs have already ferried employees to their respective offices. An additional 300 just started new trips. MoveInSync’s Command Centre is abuzz. Teams carefully browse through the map screens to keep a hawk eye on the MoveInSync-powered cabs. Security team is busy scanning the completed trip logs and responding to ongoing alerts, coordinating with dispatch teams and security escorts. Command Centre lead has asked for trip-details for cabs having more than usual stop-time during the journey; Operator is making phone-calls to get confirmations from employees who have not confirmed trip-closure. The above is just a flare of activities that keep the MoveInSync-managed Command Centre teams busy 24×7. Regulatory requirements in India and the social setup make it imperative that organizations provide secure employee commute. More so because women comprise more than 30% of the IT-BPM workforce in India. Employee safety is central to MoveInSync’s commitment to customers. 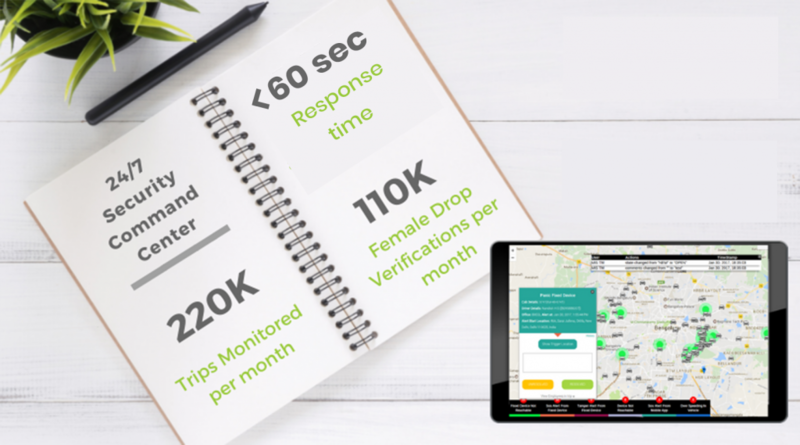 Its flagship SaaS product, ETS, has been designed to map, measure, and manage all possible safety threats for an employee in transit. While some customer organizations manage their security operations in-house, MoveInSync also offers to manage customers’ safety operations under a centralized service offering – Central Security Command Centre. A command centre is a state-of-the-art control room, a nerve centre with computer equipment and specialized technology to track, monitor, and manage the activities and behaviours of cabs/drivers on company duty in real time. It is a hub that enables the security crew to oversee and drive the safety objectives of the customer organization. MoveInSync Security Dashboard lets one track vehicle movement for all office sites on a single screen in real time. Central Security Command Centre works closely with customer transport and security teams to track route-movement, observe congestion spots, view alerts (alarms) on these screens. What The Command Centre Tracks? Drop Verification Alerts through App notifications and IVR-calls. Women employees are expected to respond to these with “yes” or “no” when they reach home. In case the response is “no” or deferred, the team initiates manual verification. In an industry first, MoveInSync app was successfully integrated with Hyderabad City Police App for one of the customers. When raised, the SOS alert reaches the nearest the Police Control Room and patrolling vehicle. The client confirms the initiative is proving beneficial owing to immediate action from Police. 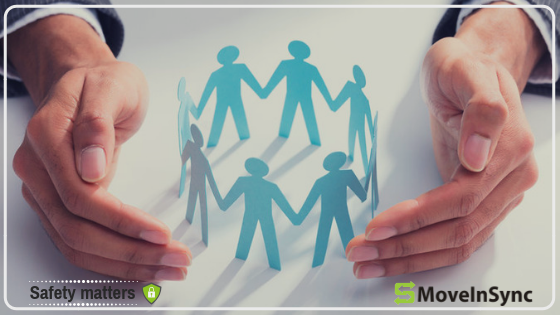 MoveInSync teams also work in coordination with the customer to manage emergencies as per customer-defined protocols. A centralized security command center offers MoveInSync’s customer organizations an opportunity to simplify the management of transport security operations and help maximize the value ETS platform provides. Trained and experienced teams help leverage the technology better for improved visibility into the transport operations and eliminating potential security gaps. Trust MoveInSync to be your partner for a safe and secure employee transport.